The Virtual Travelers: How long do you think you can last in the ocean before you drown? How long do you think you can last in the ocean before you drown? The ocean is brutal, horrifying and unexpected, even with the proper equipment people might face troubles and might lose their lives. 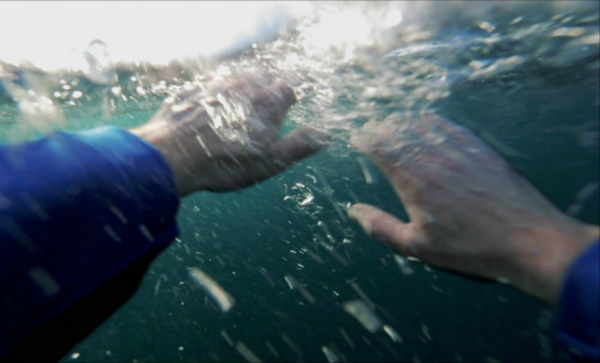 Imagine yourself in the open water struggling to survive, how long you could live out there? How terrified you would be? Knowing that the closest shores are hours away. Sortie en mer ("A Trip Out To Sea") is an online drowning simulator or interactive movie. It puts you into the first-person view of a sailing enthusiast as he gets knocked overboard. I have tried to play the simulator a few times. I did not survive and eventually I drowned. Come back and comment on how was the experience and long did you last in the open water?